One thing’s for certain: people will never get tired of reading entertainment news and commentary. BuzzFeed alone pulls in almost 150 million unique readers every month. But anyone can voice their opinions on entertainment today. In fact, 30 million Americans update a blog at least once a month. The only problem is that many of these blog posts go unread. Wondering how to set up a blog that actually attracts regular visitors? Keep reading to find out what steps you can take to start your own thriving blog in the entertainment niche! So you have a brilliant idea of starting an entertainment blog, but where do you begin? Each of these platforms has its advantages. For instance, WordPress is completely customizable. It also has an endless library of plugins. Squarespace, on the other hand, is an excellent option if you find the process of setting up a website overwhelming. You can choose from a long list of elegant templates, some of them specifically made for bloggers. Wix and Squarespace both offer 14-day trials. Meanwhile, WordPress and Weebly have 30-day money back guarantees. Therefore, you can try each platform prior to making your final decision. After you settle on a platform and choose a host, it’s time to register a domain name. As you’re coming up with a name for your blog, consider your target readership and tone. Use a thesaurus to search for inspiration. Internet users are five times more likely to ditch your entertainment blog if it isn’t optimized for mobile. So when you’re thinking about how to set up a blog, you have to consider utilizing responsive web design. But there are other ways you can improve the mobile-friendliness of your blog. For example, wider CTA buttons are easier to tap when using smaller devices. Larger text and white space improve your content’s readability. You should also consider using a hamburger menu, which keeps your header uncluttered. Elfann, a popular entertainment blog in the Middle East, takes advantage of this design trend on their mobile site. When searching for a keyword on Google, internet users click on a first-page link over 70% of the time. This means that if your blog doesn’t show up near the top of the search results, you’re missing out on a lot of readers. If you want to rank higher, base your content on long-tail keywords that perform well in your niche. The best way to find high-quality keywords is to use a keyword research tool like Wordtracker. Include any keywords you find in your content, subheading, titles, and meta tags. However, a lack of keyword research isn’t the only thing that can hurt your traffic. There are many other ranking factors, such as the length of your content and the quality of your backlinks. Once you have your entertainment blog up and running, you’ll need to promote it on social media. However, remember that the day and time you post to social media platforms affect engagement. You can eventually start thinking about monetization as well. Anything from affiliate marketing to selling merchandise can help you make money from your blog. 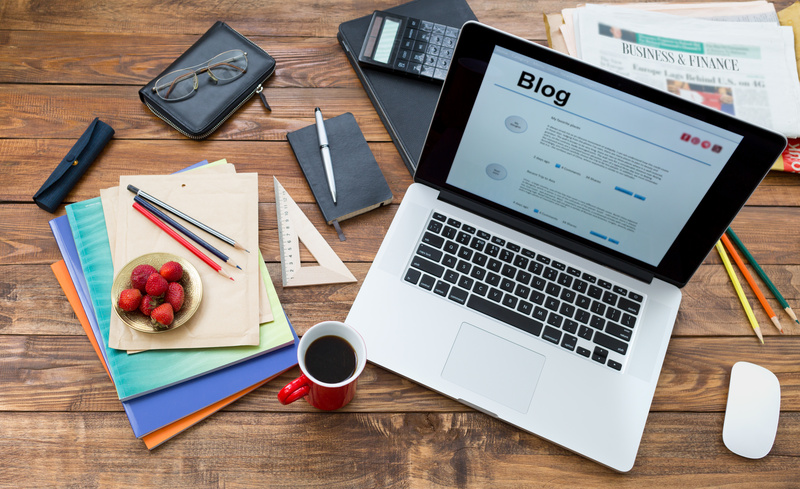 Looking for more information on how to set up a blog and run it effectively? If so, make sure to head over to our content marketing blog and check out some of our other helpful resources!